T.A.P.F.O.S. is about life, love, beer, womenas rights, Mount Rushmore, beer, immortality and the three cutest little space invaders since E.T. World Building: Some space scenery with aliens of the funniest, sort of crude nature – hilarious though – and a lot of humor, a world of laughs if you will. Characters: Hilarious, light and rather superficial but hilarious. Plot: Sort of satire spin on a space mission and alien repercussions including official reactions. I’m giggling as I write this, it just was hilarious! 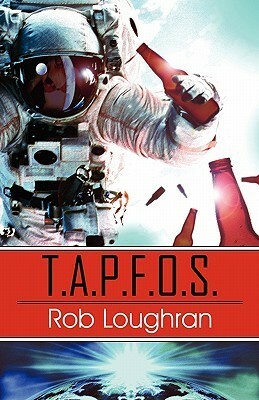 Writing: Though there were some cruder parts like the T.A.P.F.O.S. themselves, I enjoyed the humor and the read gave me a good mood for the rest of the day. Curb Appeal: The cover is interesting and relevant to the content, though I’d wish for a blurb that would speak more to its content. Wouldn’t be a buy, I’m afraid. All in all, this was very amusing, but more on the 2.5 margin then a full 3. If you feel like getting a sci-fi-ish oriented laugh, give it a try.